Well known Oregon winemaker Gary Andrus started Gypsy Dancer Estates in 2003 after purchasing the former Lion Valley Vineyards. The purchase included a 6-acre vineyard planted in 1994 with over 4000 vines per acre. Gypsy Dancer wines were reported to be rich and complex. 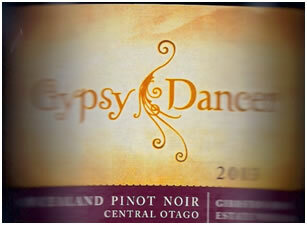 Also in 2003 Andrus started Gypsy Dancer Cellars in Central Otago on New Zealand’s South Island. Andrus passed away January 30, 2009. Gypsy Dancer Estates was located at 35040 SW Unger Road, Cornelius, Oregon. Gypsy Dancer Estates was sold to Ardiri Winery in 2009.